Whole genome comparison based on gene order has become a popular approach in comparative genomics. An important task in this field is the detection of gene clusters, i.e. sets of genes that occur co-localized in several genomes. For most applications it is preferable to extend this definition to allow for small deviations in the gene content of the cluster occurrences. 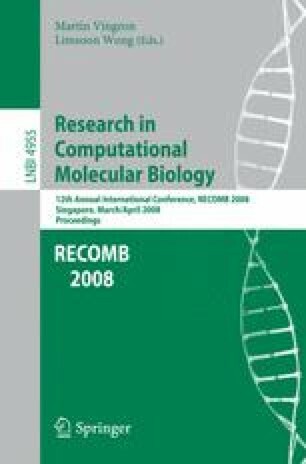 However, relaxing the equality constraint increases the computational complexity of gene cluster detection drastically. Existing approaches deal with this problem by using simplifying constraints on the cluster definition and/or allowing only pairwise genome comparison. In this paper we introduce a cluster concept named median gene clusters that improves over existing models and present efficient algorithms for their computation that allow for the detection of approximate gene clusters in multiple genomes.